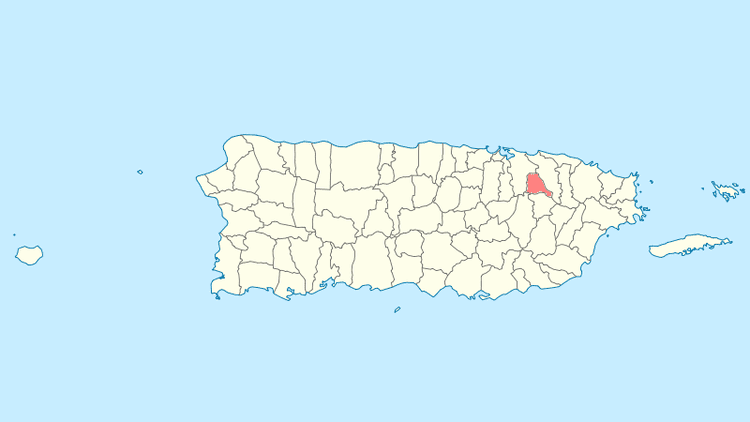 Trujillo Alto ([tɾuˈxiʎo ˈalto], Upper Trujillo) is a municipality of Puerto Rico (U.S.) located in the Northern Coastal Plain and in the karst zone, north of Caguas,and Gurabo; southeast of San Juan, and west of Carolina. Trujillo Alto is part of the San Juan Metropolitan Area, which includes the municipalities of Bayamón, Guaynabo, Cataño, and Toa Baja. The city is spread over 6 wards and Trujillo Alto Pueblo (The downtown area and the administrative center of the city). It is part of the San Juan-Caguas-Guaynabo Metropolitan Statistical Area. Trujillo Alto was officially founded in 1801, but gained more importance during the 20th Century. Due to its proximity to the capital, San Juan, the city has become a suburb of the metropolitan area, which has sparked its growth during recent years. The population of Trujillo Alto has increased through the last century from 9,576 (1930) to 74,482 (2010). According to the 2010 Census, it is Puerto Rico's tenth most populated municipality. In 1953-54, the Carraízo hydroelectric dam was constructed in Trujillo Alto by the Sumner Sollitt Construction Company of Chicago, under contract by the Puerto Rico Water Resources Authority. The dam forms the Loíza Lake, a reservoir which serves as the main source of the water supply for San Juan, Puerto Rico. The region of what is now Trujillo Alto belonged to the Taíno region of Cayniabón, which stretched from the northeast coast of Puerto Rico into the central region of the island. The region was led by cacique Canobaná. Archeological findings have identified two sites within the municipality of Trujillo Alto with archeological significance: Las Cuevas, which was studied by Irving Rouse, and Quebrada Grande. After the Spanish colonization, families started settling at both sides of the Río Grande de Loíza. During the 17th Century, Spanish crown granted Alonso Pizarro Hermona, from Trujillo in Spain, a vast ranch that covered the region. Residents began using his family name to refer to the location. Eventually, the inhabitants went to the Governor and asked for permit to build a chapel, which was a requisite to officially found a town. Despite some opposition, Trujillo Alto was founded on January 8, 1801 under the name of Santa Cruz de Trujillo. Around 1820, the name of Trujillo Alto was more used to differentiate the town from that of Trujillo Bajo (which later became Carolina). In 1826, communication to and from the town improved with the construction of two bridges: one into Río Piedras, and the other into Río Grande. In 1844, Trujillo Alto was composed of only five wards. A few years later, the first school was built. During that time, population decreased notably due to an epidemic of cholera. In 1902, the Legislative Assembly of Puerto Rico approved a law for the consolidation of certain municipalities. As a result, Trujillo Alto was incorporated to the town of Carolina. However, in 1905 a new law revoked the previous one, turning Trujillo Alto into an independent municipality again. 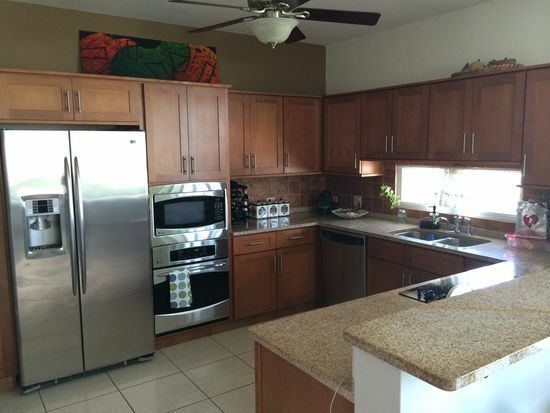 The proximity of the city to the capital, San Juan, has sparked a significant growth and development in the region. During the 20th Century, the population of Trujillo Alto has increased dramatically. As of 2010, the city is the tenth most populous city of Puerto Rico. Mayor José Luis Cruz Cruz, who has been serving since 2009, has labeled the city as "The New Metropolis". Trujillo Alto sits on the Northern Coastal Plain region of Puerto Rico. 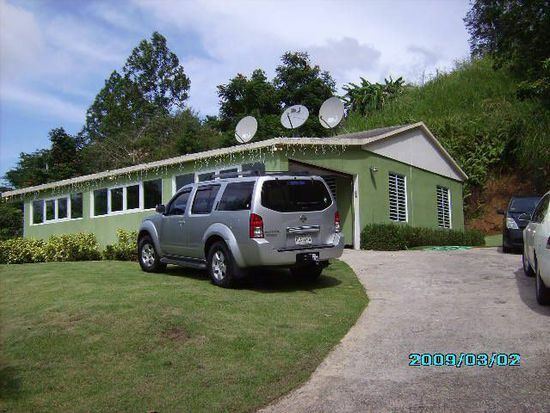 It is bordered by the municipalities of San Juan, Carolina, Gurabo, and Caguas. Trujillo Alto is a small municipality, covering only 21.47 square miles (55.6 km2). Trujillo Alto's terrain is mostly plain in the north, while the south features small hills. Heights can range from 660-1,600 feet (200–500 meters) above sea level. Trujillo Alto's hydrographic system consists mainly of the Río Grande de Loíza, which crosses the municipality. There are also several creeks in the city: Colorada, Infierno, Limones, Naranjo, Grande, Pastrana, Haya Fría, and Maracuto. Also, Trujillo Alto is the site of Puerto Rico's main water reservoir: The Carraízo Dam, at the Loíza Lake. 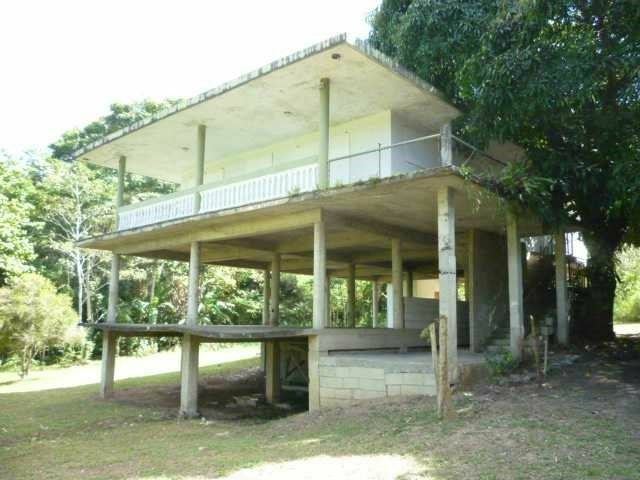 Both were built in 1953 by the Puerto Rico Aqueducts and Sewers Authority (PRASA). Although it was originally built to generate hydroelectricity, it is now used solely as a public water-supply source. The Loíza Lake is also used for sports and recreational fishing. Trujillo Alto's cityscape is fairly simple. Most of the barrios are spread through the rural section of the city, while the downtown area (Trujillo Alto Pueblo) is small, consisting only of eight primary streets. This gave the city the nickname of the "City of the Eight Streets". Also, there are no high-rise buildings or structures. Trujillo Alto is divided into eight barrios. There are several places of interest for tourists to visit in Trujillo Alto. The Bicentenary Walkway, located in the entrance to the city at the PR-181, features the remodeled historic steel bridge as well as a gazebo. It was built in 2001 to commemorate the 200 years of the foundation of Trujillo Alto. Also on the PR-181, is the Luis Muñoz Marín Foundation which was established in 1980. It includes a museum, a historic archive, and a park. The Carraízo Dam and the Loíza Lake are also frequently visited. Other places of interest are the Convent Carmelitas de San José, the Lourdes Gruta, and the Mountain Spring. 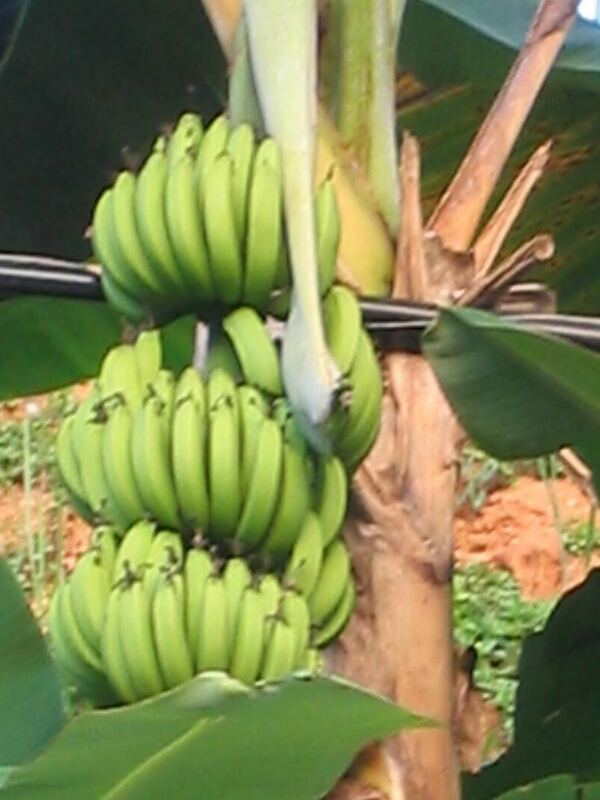 The economy of Trujillo Alto has relied mostly on agriculture, particularly sugarcane, coffee, tobacco, and minor fruits. Cattle ranching is also a source of economy in Trujillo Alto. In recent years, commerce and industry have become integral parts of the economy of the city. Trujillo Alto is the site of several factories of nutritional products, wood, metal, electrical machinery, and others. There are also stone quarries in town for the production of building materials. 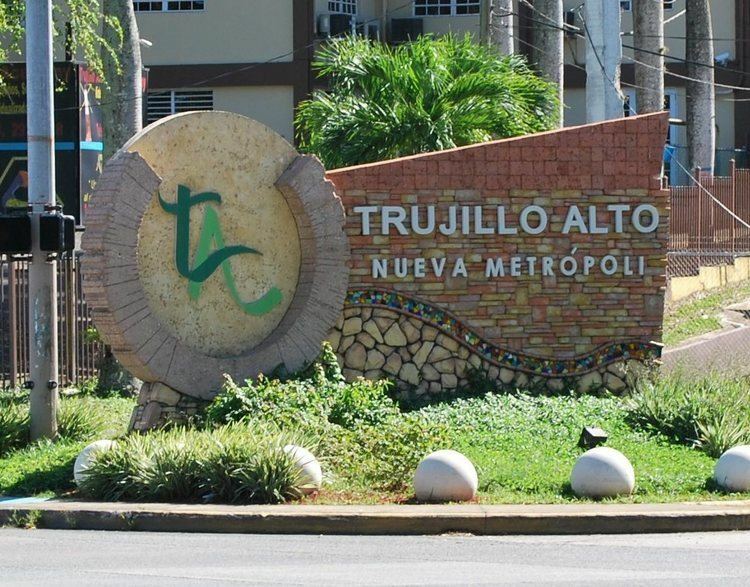 As of 2013, Trujillo Alto's unemployment was 10.2%, making it the second municipality with the lowest rate after Guaynabo. 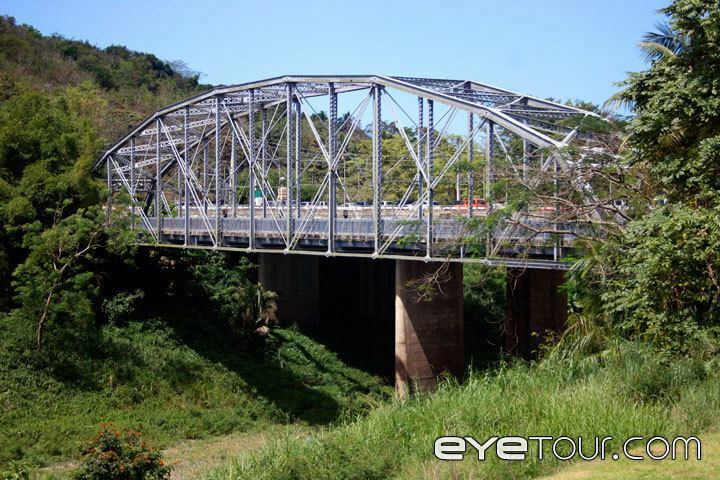 In 2001, Trujillo Alto conmemorated its bicentenary with the opening of a new park in the PR-181, which included a remodeling of the historical steel bridge. There are a number of churches and chapels from several denominations in Trujillo Alto. The main parish, Parroquia Santa Cruz, was built in 1817. Part of a related structure was damaged by Hurricane San Felipe in 1928. The current structure was designed by Luis Perocier and built in 1933. Trujillo Alto has also been a place of pilgrimage for Catholics after a shrine to Our Lady of Lourdes was blessed in 1925. The site also features a grotto dedicated to Our Lady of Lourdes. The Lourdes grotto is visited frequently by religious people and tourists. There's also a convent in Trujillo Alto called the Convento Carmelitas de San José. Trujillo Alto's patron saint is the Saint Cross. Its festivities are held each May. Trujillo Alto doesn't have a professional sports team. However, there are several sports facilities in the city for amateur and novice leagues. In 2011, the Rubén Sánchez Montañez Court in Trujillo Alto, hosted the Cangrejeros de Santurce team of the Baloncesto Superior Nacional (BSN), which is the professional basketball league. The facility has a capacity for 2,250 people. In September, Trujillo Alto celebrates the "Arrecosta'o" Marathon, which is one of the most important events in the city. The race has been celebrated yearly since 1985. It originally covered a 6.2 mile (10 kilometer) trajectory around town, but in 2007, it was shortened to 3.1 miles (5 kilometers). In 2010, the marathon was recognized as one of the best organized events of the year. The Loíza Lake is also a frequent spot for sports and recreational fishing. The lake features a wide variety of fishes like: largemouth bass, peacock bass, sea chubs, tilapia, and beardfish. The "macabeo" is the most known typical food of Trujillo Alto. It is a fried dish made with green bananas and meat. The popularity of the dish is such that a festival is celebrated annually on its honor. The Macabeo Festival began in the early 80s, and is held each year in December. The population of Trujillo Alto increased steadily during the 20th Century. Since 1920, the population has risen roughly more than 300%. According to the 2010 census, the municipality currently has 74,842 inhabitants. The decade from 2000 to 2010 is the only one that has shown a decrease in population during the last 110 years. 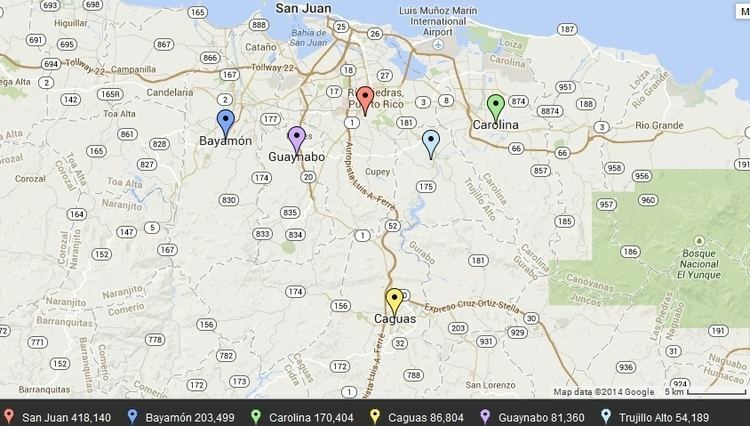 Still, Trujillo Alto's current population makes it the tenth municipality in Puerto Rico in terms of population. According to the 2010 Census, 72% of the population identifies themselves as White, and 14.6% as African-American. Also, 47.5% of the population identified themselves as males, and 52.5% as females. Finally, 25% of the population is under 18 years old. The next biggest percentage of population (20.7%) is between 35 and 49 years old. Like all municipalities in Puerto Rico, Trujillo Alto is administered by a mayor. The first official mayor of Trujillo Alto was Juan Francisco Carazo, who was one of the residents that vouched for the foundation of the town back in 1801. The current mayor is José Luis Cruz Cruz (from the Popular Democratic Party), who was elected at the 2004 general election. The city belongs to the Puerto Rico Senatorial district VIII, which is represented by two Senators. In 2012, Pedro A. Rodríguez and Luis Daniel Rivera were elected as District Senators. Representatives Javier Aponte Dalmau (District 38) and Roberto Rivera Ruiz (District 39), both from the PPD, represent different regions of Trujillo Alto in the House of Representatives. The flag of Trujillo Alto features a white background with the town's coat of arms in the center. The coat of arms features a shield with a blue border, with eight spurts of water representing the many springs, creeks, and rivers that flow in town. Inside the shield, there's a silver field with three green mountains and a blue Latin cross above them. The flag features a white banner below the shield with the name of the city, and a coronet in the form of a five-tower mural crown alluding to the Spanish crown. The banner and the coronet aren't featured in the flag. Trujillo Alto is known by various names. It is known as the "City of Springs" for its many rivers and creeks. It is also known as the "Town of the Eight Streets" because the downtown area consists of eight streets. Trujillo Alto is also known as the "City in the Country", for its proximity to the San Juan Metropolitan Area despite being mostly a mountain town. Finally, it is also called the "Laid-back Town". The main road to Trujillo Alto is the PR-181 that crosses the municipality from north to south. Distance from the capital is roughly 15 minutes. Other highways that lead to Trujillo Alto are the #852 of the Quebrada Grande neighborhood and Dos Bocas, the #175 of the neighborhood Carraízo, the Las Cumbres Avenue and the #851 from La Gloria neighborhood. In the past, communication with the town was limited because of its location on the other side of the Río Grande de Loíza. The construction of two bridges in 1826 helped facilitate the trip to the town. In 1939, the United States Army built a steel bridge in the entrance to the town on the PR-181, to replace one of the older ones. Although the bridge is no longer used for vehicles, it has become a symbol of the city and still stands today. The northern part of Trujillo Alto is serviced by the Puerto Rico Metropolitan Bus Authority with various stops along the PR-181 and nearby neighborhoods. Other public transportation in the city is provided by taxis, and independent public cars.